Blogging duo Handmade Holidays Through The Year want to challenge you to get organized for the holiday season! Their July Challenge #1: make a Christmas planner. 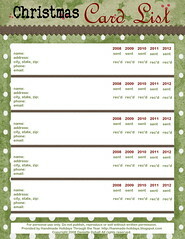 While you're at the blog, don't miss this page of printable gift tags!